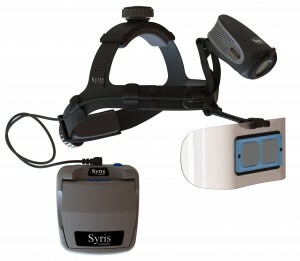 Syris Visualization Systems have been designed to enhance the surface or sub-surface features of a patient’s skin. One can choose between the surface and the sub-surface viewing mode, so perfect illumination will be ensured. This allows users to see approximately 1mm below the skin’s surface which will facilitate the treatment of telangiectasia and spider veins. The V300/V900 Series is equipped with one of the most sophisticated diagnostic systems of any lighting or vision system in the medical world. A powerful microprocessor constantly monitors the entire system of lighting and cooling to ensure maximum performance. Revolutionary patented cross polarized techn ology allows the user to see approximately 1mm below the skin’s surface. The V300 emits a larger, 6 to 8 inch diffused area of light which is preferred by some physicians when used for general dermatology, sclerotherapy and hair restoration. 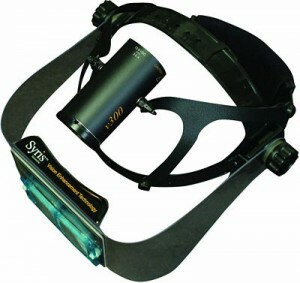 Adjustable polarizer allows for bo th surface and sub-surface viewing; approximately 1mm. Lightweight headgear has two adjustable knobs and combined with the foam cushion headband pads provide for a comfortable fit.